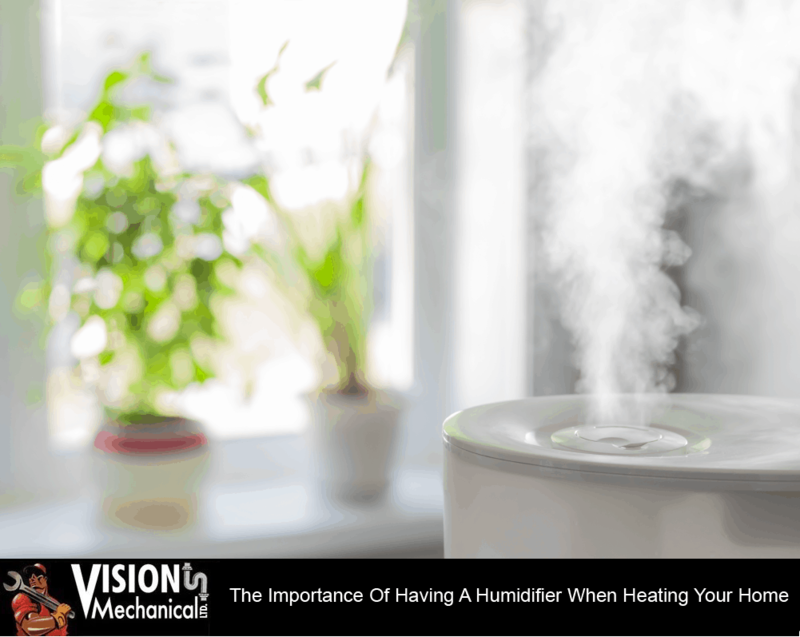 The Importance Of Having A Humidifier When Heating Your Home | Vision Mechanical Ltd. Many people suffer from colds and flus during the winter months. Our bodies are working hard to cope with the sudden temperature changes. We do our best by eating right, exercising and getting enough sleep to stay healthy to combat colds and flu. Sometimes a cold or flu bug grows into our immune system and we become sick. A humidifier has many benefits to help you recover when you are feeling sick. One huge benefit of a humidifier is it keeps your nasal passages lubricated, helping you breathe easier. People who suffer from asthma and allergies find humidifiers are especially helpful since they are designed to purify the air . They work by bring in cool moisture from a UV tower humidifier. A feature that is self-regulating evaporative technology. This modern humidifier technology is capable of removing up to 99% of bacteria, mold and other allergens. An air washing filter is a major contributor for the air filter purifying system by significantly aiding in the capturing process of dirt, dust and pollen. Cold dry weather brings with it dry skin. We resort to applying mounds of lotions, creams and moisturizers for relief of dehydrated skin. Fortunately, a good humidifier restores moisture back into the air, no longer needing to apply a plethora of skin care products anymore. Consider purchasing the option of a cool mist humidifier as an ideal addition for a clean and hospitable home environment. You will eliminate dry skin problems and live in a germ free environment. The damage caused by dry air can be very hard on your immune systems. Did you know the cold air is harmful for the interior of your household as well? The presence of frigid, cold air causes wood to shrink naturally in the cold. Inadequate moisture can also lead to splintering of wood and smearing of paint. All of these natural occurrences could result in a hefty payment for home repairs. A solution is to install a fan-powered humidifier that can serve as the perfect ally in bolstering your home’s structural integrity. A humidifier is an investment for your health and home comfort. These are just a few of the many advantages and uses a humidifiers provides. As you stay warm and cozy, a humidifier is improving your home’s environment by generating much needed moisture into the air. Visit our page to learn more the products and services Vision Mechanical Ltd. has to offer or contact us today to book an appointment.